Here are a couple of truths about me. Sometimes, I can’t relax very well. And on other occasions, I feel like I have forgotten to have fun. I’m not sure why or when this happened, but it is true. I tend to worry about a little of this, or a little of that. And then sometimes, it turns into a big heaping pile of unease. I don’t like this too much, about me. Yet it happens. But this trip has given me plenty of opportunities to relax. And I have. There have also been many occasions which were quite fun, and I am happy for this. It seems no matter what the circumstances are though, I always enjoy shooting. And thinking about shooting. Here are a few more… of birds, and cats, and sea life… from today. On the Ins or Outs…. I know I’ve talked about these groups of birds, but I really like them. They pick and peck at the sand, all in a pack. (Say THAT three times fast.) But mostly they stay in their gangs, moving up and down the beach, foraging for food. Now, with this particular clan…. 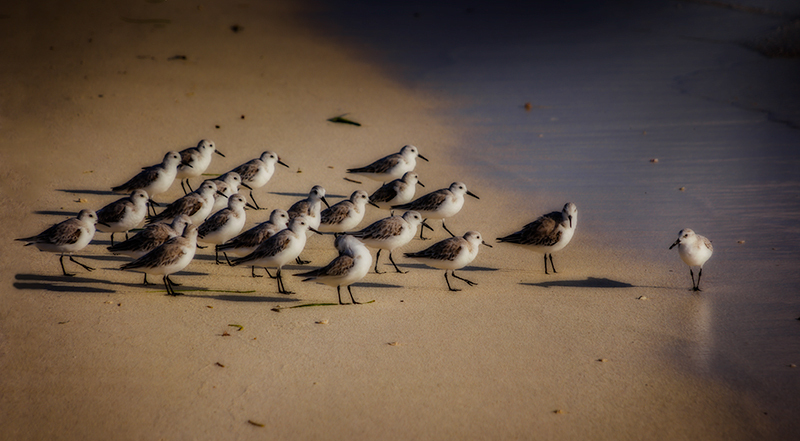 I cannot tell if the bird at the head of this group, is some sort of leader, or if it is an outcast. But all of a sudden, they were all just staring right at her… like she let out a little bird-fart or something. That’s how life goes sometimes. It is difficult to know if someone is in a place of position, or contempt. Or if they just eeked out a little bird-fart. Now, how about this cat? Each morning I have my normal hearty breakfast. Eggs, Ham, Oatmeal, Toast. I always have an extra egg yolk and then some. 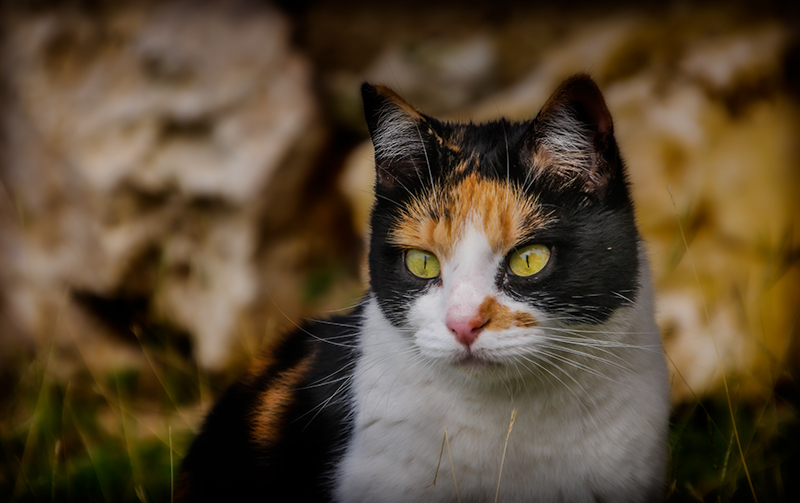 I took it to this Calico this morning and she turned up her nose. Completely. She even complained… loudly about it. My only guess is she has something against Free Range Chickens. Maybe one gave her a talking to, at some point… and these days… she simply won’t eat their eggs. It might have even pecked her little Calico nose. At any rate, she holds a strong disapproval for them. And these little shells. 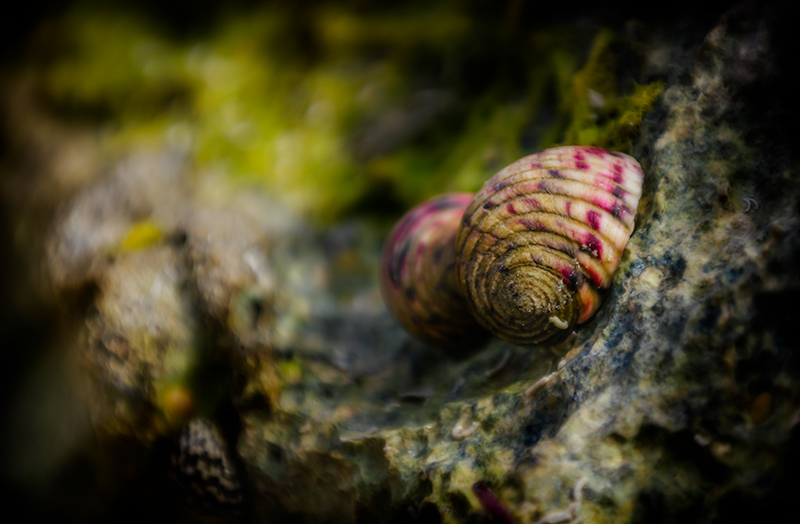 Little mollusks of some sort. They look like they are clinging on to these rocks for dear life. They come on so many different colors, and sizes. But they always huddle together. I guess… as the old saying goes… safety in numbers.. Finally, Mr. Crabby Pants. I was walking out on some craggy rocks, where the tide rolls in and then out, rather quickly. It leaves puddles in the rocks, like little pools. Sometimes fish get caught in there. That is what I was watching. A fish in a puddle. 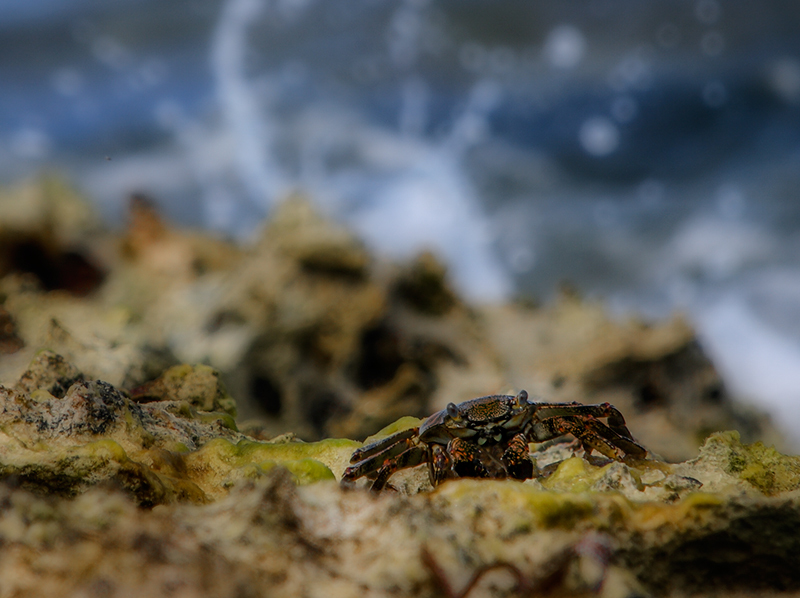 When all of a sudden, this Crustacean-Guy jumps out right by my hand. In return…I jumped right OUT of my hand. About three feet off the ground. I don’t have a fear of little sandy crabs, but he was trying to sneak up on me. I am sure of it. Like a little prankster. And I was just about relaxed….